Stringless, popular old-style flat green bean 17-19cm., likes summer heat. 50-55 days. 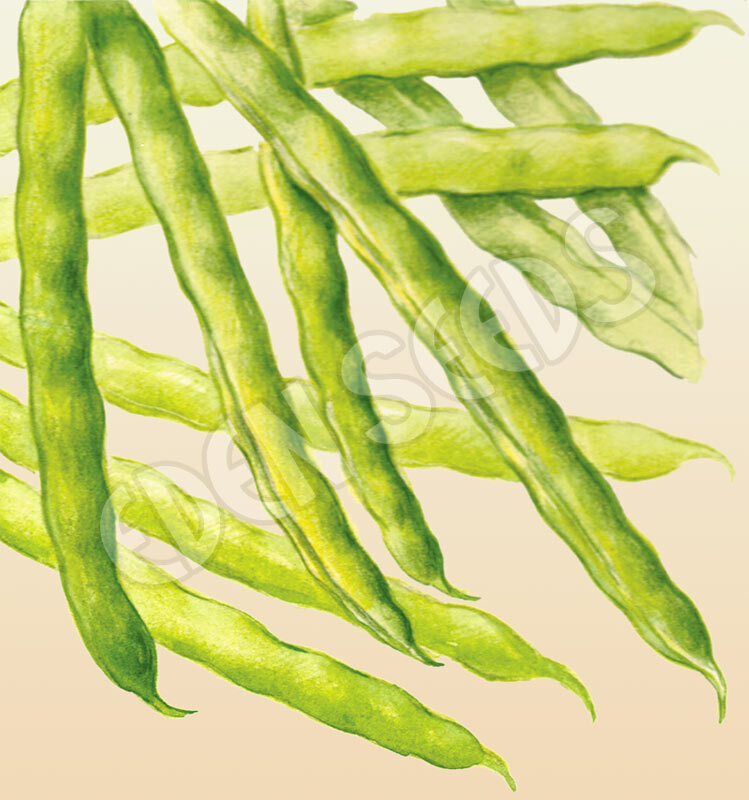 Read more on growing Bean, Bush here. 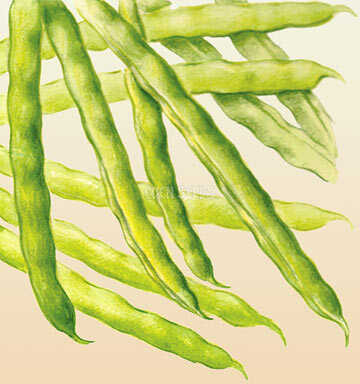 Also called DWARF, FRENCH or SNAP BEAN. 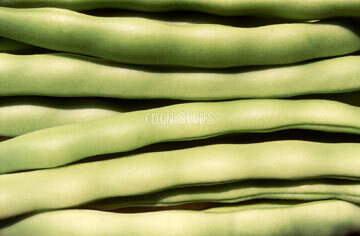 Most popular vegetable, originally from South and Central America, cultivated 500 B.C., introduced to France by 1535. High yielding and rich in vitamins A, B & C. Use successive plantings whilst frost free. Grows well in all soils if not waterlogged. Does best in near neutral conditions. Sow after frost.